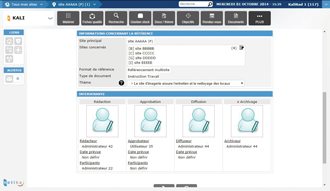 This module enables to follow and control the document lifecycle and to customise the alerts that are transposed in real time in a personnal dashboard. By a simple click, the user can access the assigned actions and will know its participation in the document lifecycle (writing, verification, approval, diffusion, confirmation...). 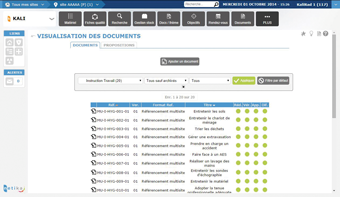 This module allows the document management via a process approach.